A new study released in the journal Tobacco Control found that the number of electronic cigarette companies has increased and marketing tactics have shifted since 2012. As of January of this year, there were more than 460 e-cigarette brands available for purchase online, and around 7,700 flavors, including Swedish fish, roasted marshmallow and vanilla cupcake. Since the study began in 2012, an average of 10.5 brands and 242 new flavors were introduced each month. This “explosion of flavors” is new and has some lawmakers concerned about marketing tactics aimed at children and teenagers. A 2013 study released by the Centers for Disease Control said e-cigarette use is increasing among middle and high school students. 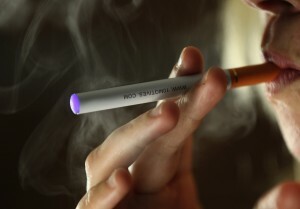 California Congresswoman Jackie Speier introduced legislation on Friday to regulate e-cigarettes. “With cotton candy and gummy bear flavors and the ability to purchase e-cigarettes online, our children are still very much at risk even with the FDA’s move to regulate,” Representative Speier said in a press release. The U.S. Food and Drug Administration extended its public comment period on its proposed rule to regulate e-cigarettes through early August. If the rule is finalized, the FDA will be able to implement age restrictions on e-cigarettes and examine claims that the product reduces tobacco-related diseases.